A food festival aims to bring another side of Filipino cuisine to the light — for Filipinos and non-Filipinos alike. 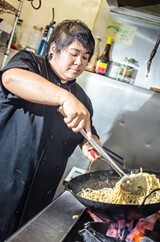 Charleen Caabay is the chef-owner of Oakland Filipino favorite Kainbigan. The Filipino Food Movement had a moment two years ago when the organization inundated San Francisco's Justin Herman Plaza with the smell of frying garlic and savory vinegar. Thirty-thousand people showed up for Savor Filipino, the Movement's first major event — 10,000 more than expected. Since then, interest in Filipino food has grown. The Bay Area-based Movement, whose mission is to promote Filipino cuisine, has gained a massive social media following, with over 46,000 drooling over its pictures of ube waffles on Instagram. Recently, the New York Times declared that Filipino cuisine is having its own "chop-suey moment" — a reference to the period of time in the 19th century when Americans first fell for Chinese-American food. There are curious new diners aplenty, ready to take up their spoons and forks. 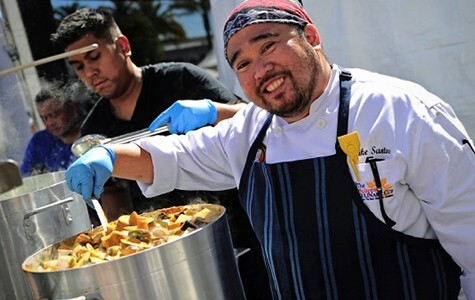 And Savor Filipino is gunning to feed them with its second Savor Filipino festival, which will be held on October 15 at the Overlook Lounge in Oakland. Even though interest has grown, things don't seem to be changing particularly quickly — at least for the Bay Area's Filipino eateries. Earlier this month, another Filipino restaurant announced its closure — the Michelin-recommended Pampalasa. It was the latest in a string of shutterings that includes Mercury Lounge, Poleng Lounge, and Intramuros. The Bay Area might be home to a trend-happy food scene and a Filipino community of almost half a million, but new Filipino restaurants struggle to achieve the kind of mainstream appeal that Japanese or Thai places have. With such disappointments in the shadows, Savor Filipino prepares to shine its spotlight once more on compelling, boundary-pushing Filipino food. A $75 event ticket provides unlimited tastings of tapas-style dishes prepared by chefs from across the country. A separate ticket treats guests to a sit-down dinner: five courses by five chefs, with drink pairings. The decision to make the second Savor a ticketed event was designed to protect the chefs. "We aren't selling booth spaces to our chefs [and placing a financial burden on them]. We're buying the ingredients and doing the promotion. 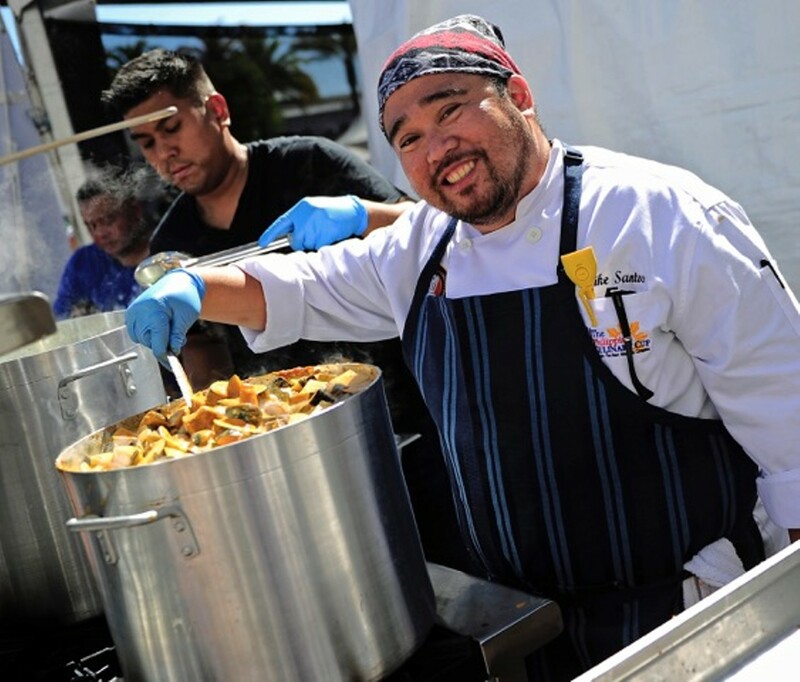 We just want our chefs to bring their heart and hands and just do the best they can to show the world the potential of Filipino food," said PJ Quesada, the Movement's founder and a festival organizer. Charleen Caabay, chef-owner of the Filipino fusion joint Kainbigan, will represent Oakland as she did two years ago at the first Savor event. "It was amazing," she said. "All these chefs came, from all over the nation, to come to one kitchen to collaborate, to work with each other to build a stronger Filipino food community." Why, then, haven't Filipino restaurants quite taken off the way food writers keep expecting them to? Many within the Filipino food community blame the cuisine's low profile on the colonial mentality embedded in the culture. "When the Spanish and then the Americans were in the Philippines, there was this common opinion that Filipino cuisine was nutritionally inadequate," Quesada said. "The Spanish thought it was a blasphemous type of diet because they weren't eating enough meat." Nowadays, there's plenty of meat in the cuisine, which has led to yet another stereotype. "Filipino food has an image problem," said Quesada. "It's too greasy, too brown'" is the complaint. And not heart-healthy, which is ironic since the pre-colonial Filipino diet was based on fish, rice, coconut, and vinegar. Savor's chefs will revamp Filipino food's meaty image with dishes that show lesser-known aspects of the cuisine, likening its dishes to ones that might be more familiar to seasoned foodies. Think fresh, local oysters served kinilaw-style (ceviche, but made with calamansi lime or vinegar) or congee dressed in Pinoy flavors. Dawn Mabalon, a Filipino food historian and SFSU history professor, argues that the colonial mentality isn't the main reason for the cuisine's lack of popularity. She pointed out that after 1965, immigration laws gave preference to educated Filipinos who could enter professions like nursing and teaching. "Put yourself in the shoes of a post-'65 immigrant," Mabalon said. "Why would you go into one of the most risky business enterprises? Our [new] generation has felt more freedom — 'yes, I could be a doctor or a nurse, but I really want to go to culinary school.'" Despite that feeling of freedom, it's been tough for these newer restaurants to gain support within the Filipino-American community. Catherine Baquiran and Jan Dela Paz, line cooks at Rockridge's popular Ramen Shop, recently held a Filipino pop-up at Oakland's Starline Social Club in August. They said they weren't worried as much about the reactions of non-Filipinos as they were about what their families and Filipino friends would think. "If you talk to Filipinos about the best Filipino meal they've had, it's going to be their mom's and grandmom's. It all boils down to — and this is true for myself as well — the experience of eating that food with one's family. We're competing with those memories," said Dela Paz. According to Quesada, this strong tie between family and food can make or break Filipino restaurants. "Restaurants live or die based on our early opinion," said Quesada. "If you have purists come in and they don't agree with the interpretation, their early comments can influence the future of the business, whether they are valid to the restaurant or not." Comments about authenticity — whether the chef is inspired by mom, Alice Waters, Jollibee, or a mix of the three — are easily found on most new Filipino restaurants' Yelp pages. If it's not like Tita Flora's, it's not authentic. Savor Filipino tries to shift these attitudes with its theme of buksan, which means "unlocking." "What's 'authentic' and what's correct or traditional — we don't believe that those equate to standards," said Quesada. "Authentic is what you grew up with. Our philosophy is to unlock the potential of Filipino cuisine by releasing the chefs from any obligation to anyone's standard of authenticity." "It's really important for our community to be open-minded, and to stop questioning authenticity," said Mabalon. "There are thousands of different ways to make adobo." Despite the need to shift attitudes and make known Filipino food's broader range, things are moving. Kainbigan made it past the three-year mark — the point where many restaurants fail. A modern Filipino spot in Washington D.C. called Bad Saint was ranked number two in Bon Appetit's list of best new restaurants. And at the Starline pop-up, the line went out the door. People were ordering seconds to go, and the kitchen ran out of food before closing time. And Dela Paz's mom? She ate her crispy pata (pork leg) until there was nothing left but bone. Here's hoping we get to savor more. Likha: Jan Dela Paz and Catherine Baquiran's pop-up at the Starline was so successful, these two line cooks from the Ramen Shop are planning a seafood-based menu for a second pop-up on October 30 at Blackwater Station (4901 Telegraph Ave., Oakland). Other Ethiopian restaurants in the area may do better business, but our writer likes going here.